Jay Larson is the best impostor businessman on the planet. Jay Larson is a comedian, podcaster host of Best Bars in America on Esquire network, and an accomplished writer but if you told him that 15 years ago he never would have believed you! Jay moved to Los Angeles in 2000 to pursue acting and writing. But after a year and a half of acting classes and two decent screen plays Jay stumbled into stand up comedy and hasn’t looked back. Since 2001 Jay has honed his stand up and distinguished himself as a truly original voice with quick wit and a unique perspective. In 2005 Jay was invited to The Montreal Comedy Festival as a “New Face” which was his coming out party. Later that year he made he made his network television debut on The Late Late Show with Craig Ferguson. In 2006 he performed on The Late Late Show a second time and made his first appearance on Comedy Central’s Live at Gotham. In 2007 Jay moved to New York to hone his standup, but what he really focused on was making short films. In 2008 Jay signed on with Atom Films which was owned by Comedy Central to make five short films which were greatly received. He also spent time producing and acting in shorts with other comedians. 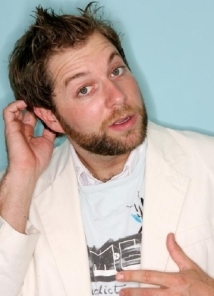 Jay never let standup go though, and in 2011, he performed his own half-hour special on Comedy Central, starred in his first feature film, Nacho Mountain and released his first comedy album Self Diagnosed. Soon after that Jay made his first appearance on Conan, but it was his second appearance that put Jay on everyone’s radar. Jay’s second appearance went viral in 2012 and climbed to number one on Reddit and received over a million hits in a day. From there Jay was commissioned to write, produce, direct and act in a series of short films for FOX and later sold a show based off those shorts. Since then Jay has appeared on Conan a third time, performed on Last Call with Carson Daly and Comedy Central’s This Is Not Happening, co hosts the wildly popular CrabFeast podcast, took his acting to the dark side in the thriller The Invitation (which made its world premiere at SXSW in 2015), and is the host of the extremely popular travel show Best Bars in America on Esquire Network. Best Bars takes up a lot of Jay’s time but he always finds time to tour the nations best comedy clubs, for the weekly CrabFeast podcast, and for writing. Recently, Jay wrote on two different pilots for TruTV and Comedy Central and is currently working on his own TV project. Jay Larson (@JayLarsoncomedy) breaks all the rules at the Laugh Factory comedy club in Hollywood, CA, home of the best stand up comedians.